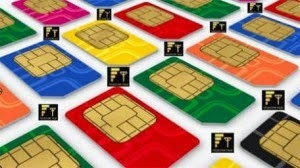 During the first 29 days only 31 million out of 103 million SIMs could be verified, the government is considering to extend last date for the bio-metric verification of mobile SIMs for the convenience of mobile users. An official told that the government is certain it would re-verify all the SIMs in country, there are many options under consideration to achieve this goal and one of them is extension in deadline. 31.025 million cellular users re-verified their mobile SIMs through bio-metric verification system in the first 29 days, while approximately 1.59 million daily verification were done by the cellular companies and their designated dealers, as per record during the last week. Though the cellular companies have spread the verification system throughout the country, but consumers believe the arrangements are not enough to complete the process in given time.